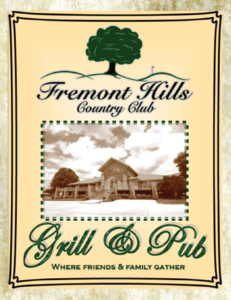 Fremont Hills Country Club prides itself on having a menu offering that caters to all of our members. Our culinary staff never fails to surprise us with tastes and flavors of all styles and origins. From southern home-style to seafood delight our crew is known for their ability to please any taste your palate desires. In addition, there are many specialty dinners and banquets arranged by the Club for holidays and events. We have our private dining room available for small or large family parties, business meetings or special events such as weddings, corporate events and parties. Call our business office for booking information (417) 725-1506.